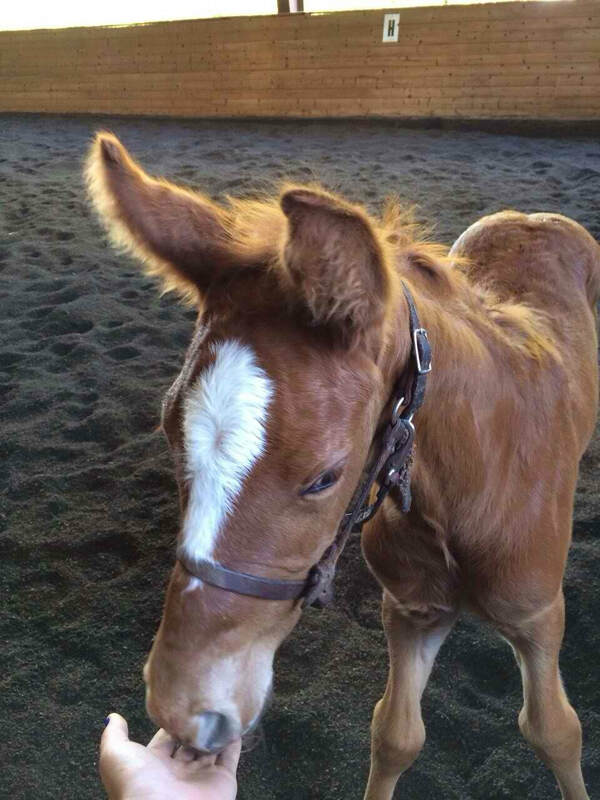 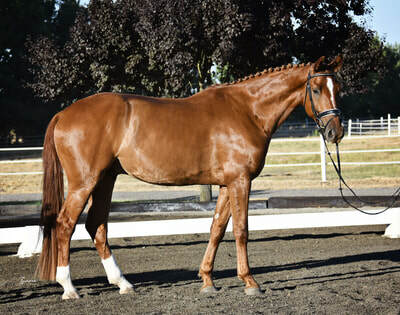 Walentino is a compact chestnut gelding,born and raised at CNDC. He has nice push from behind in the trot and a ground covering canter. He is currently schooling training level dressage and also jumping small courses. He went off the property for the first time and was a star, even schooling some cross country jumps and playing in the water! 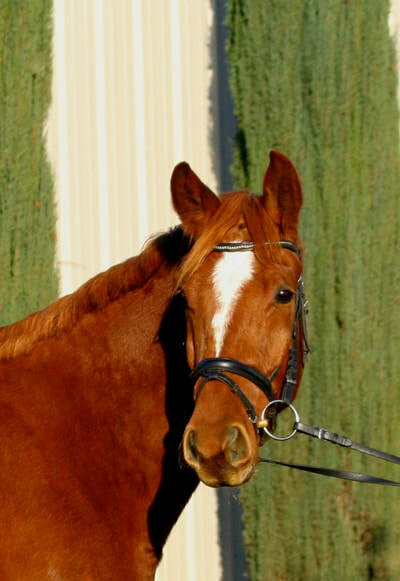 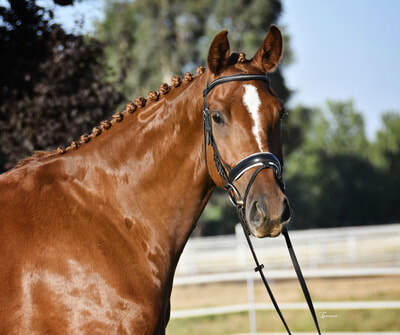 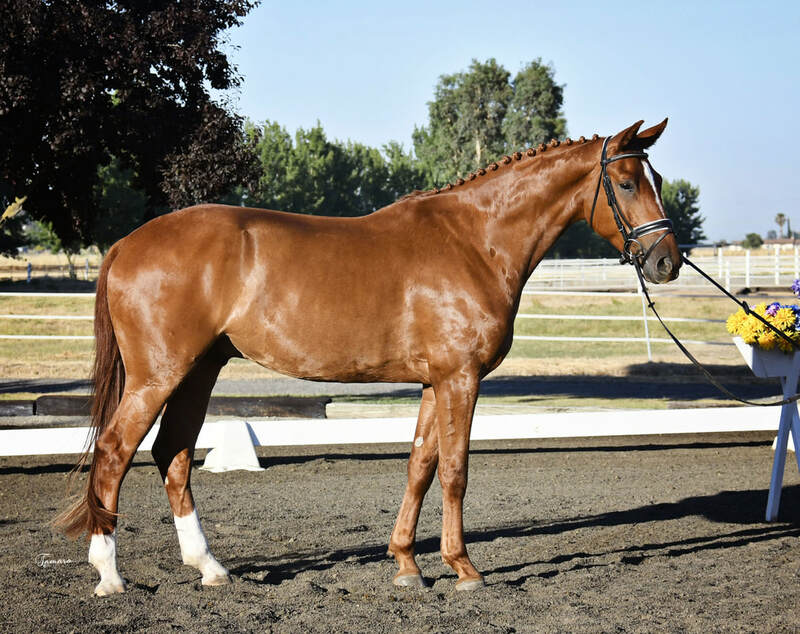 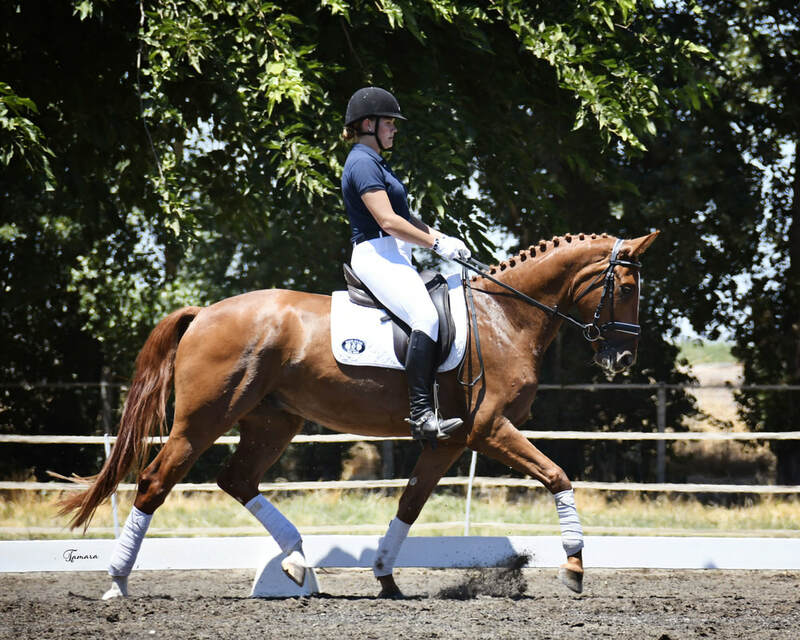 Walentino is by our proven mare Ferera, who has produced many high performing Dressage Horses. 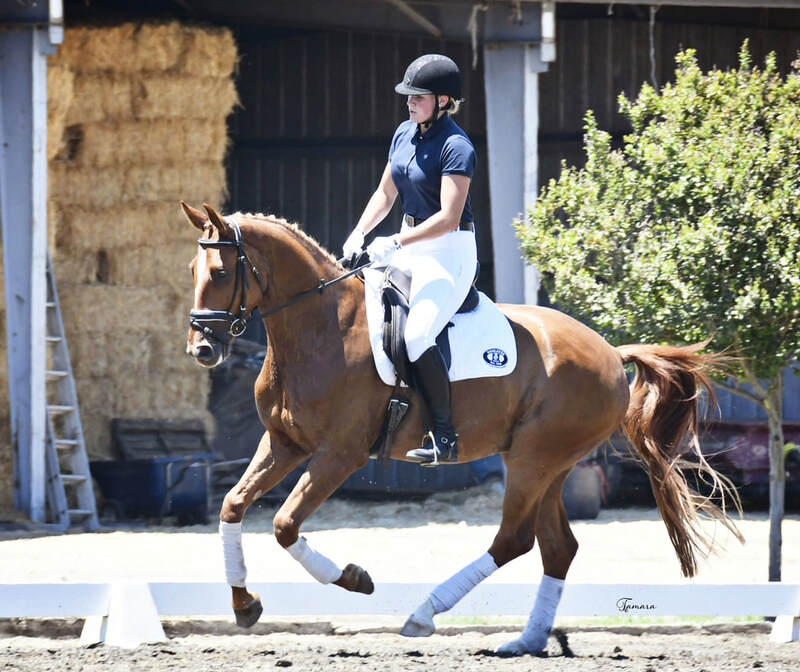 Her most prominent offspring is Wintessa N, who was placed top 5 at the CDI in Del Mar. Also Quintano and Donna Dia, who have been shown at second and third level, are out of Ferera. 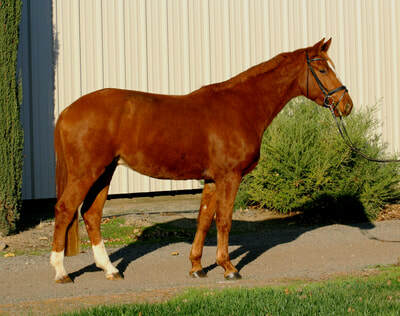 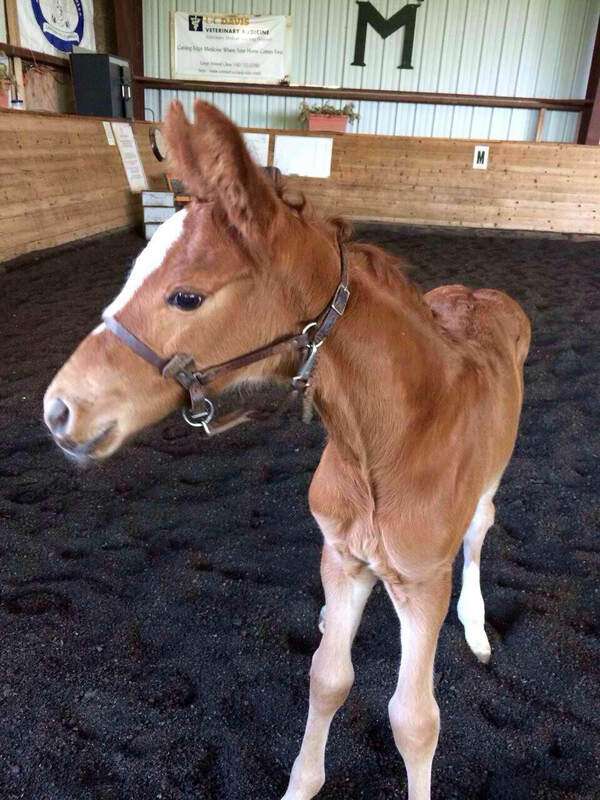 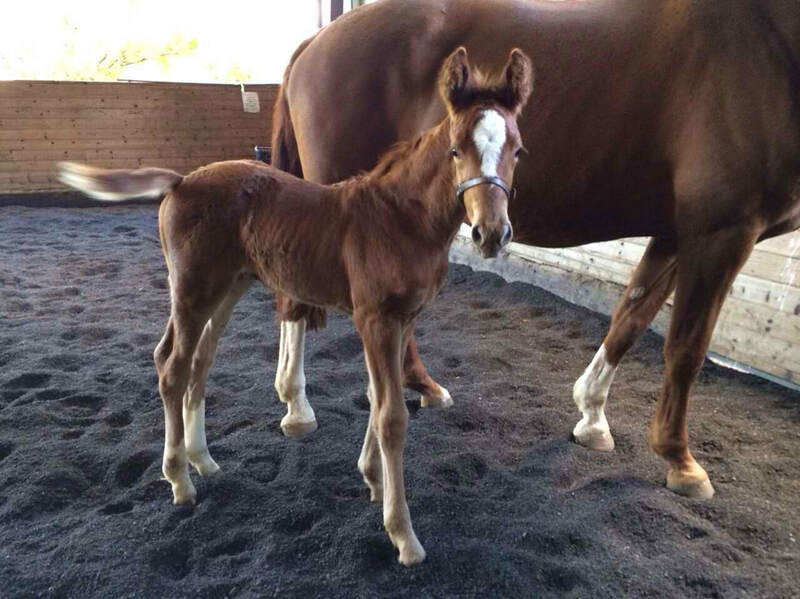 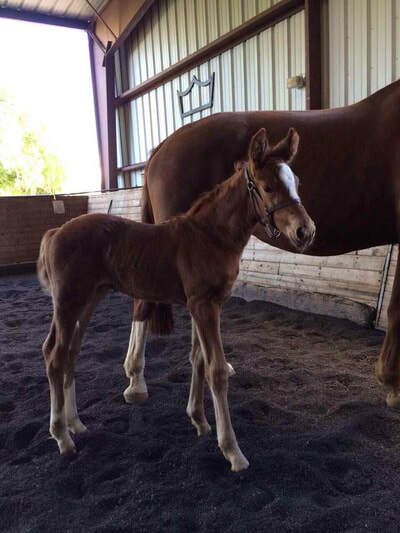 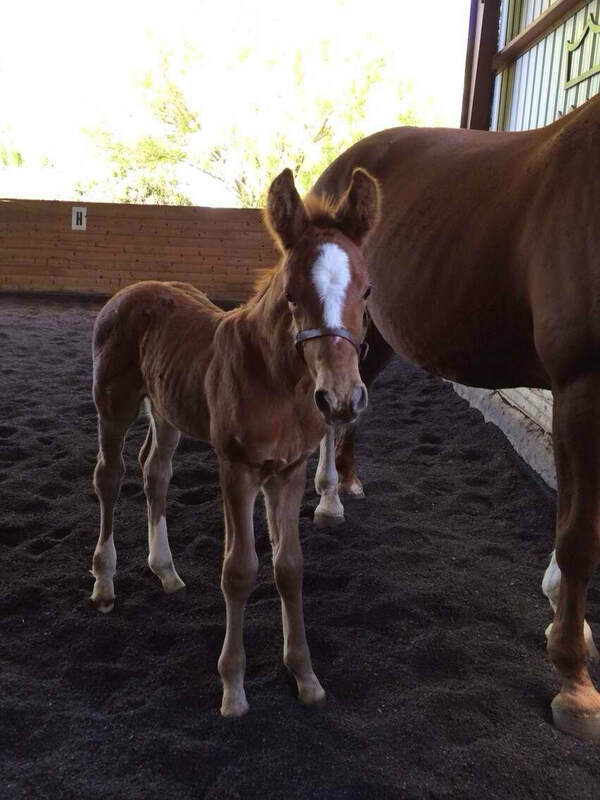 This gelding is sired by Wolkenstein II, one of the best sons of Weltmeyer. Wolkenstein II had faultless character, extraordinary willingness to perform, tremendous presence and outstanding dressage and jumping ability. Almost 50 licensed sons and more than 150 state premium mares rand state premium candidates are tracing back to Wolkenstein II.